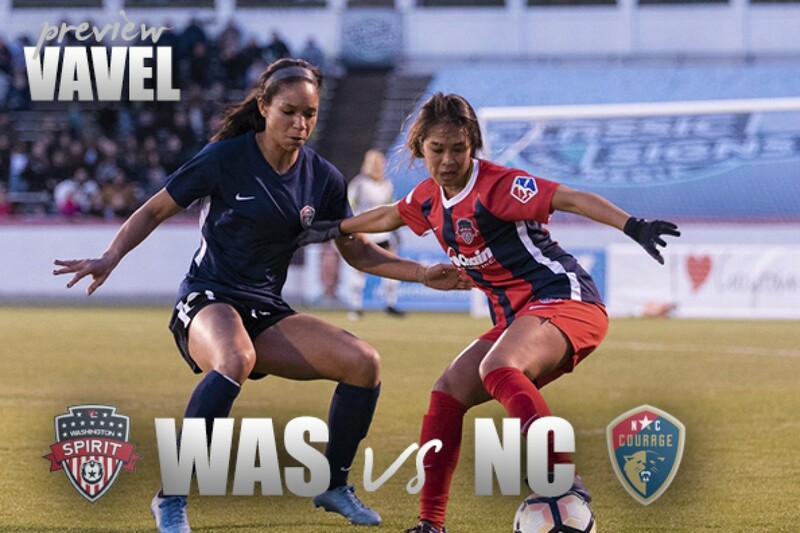 The Washington Spirit will host the North Carolina Courage at Maureen Hicks Field in Boyds, Maryland at 7:00 pm ET on Saturday, April 14. The Courage (2-0-0) are undefeated against the Spirit (1-0-1) in all matches between the two teams. 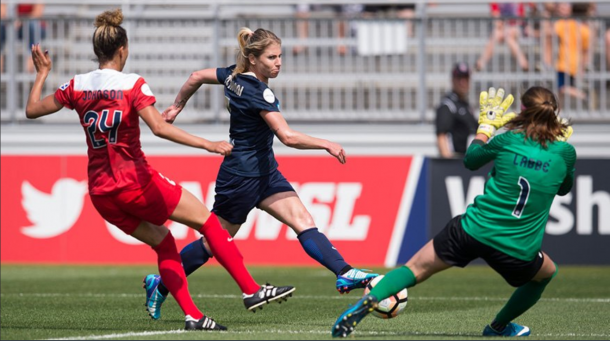 It was nearly one year ago to the day that the North Carolina Courage played their debut match on the road against the Washington Spirit to open the 2017 National Women's Soccer League season, but that game feels like an eternity ago. In the time since that game, the Spirit went from a finals contender in 2016 to the first-overall draft selection in the 2018 NWSL College Draft. The Courage, who transitioned from life in upstate New York after the 2016 season, rode that inaugural victory to the best regular season record during the 2017 season and a NWSL Championship Game berth. The Spirit are coming off their first win of the season two weekends ago after dropping their opening match on the road in Seattle. The Courage won their two opening matches 1-0 at home, but this will be their first road test of 2018. The Spirit and Courage have faced off for three regular season matches and one preseason match since the franchise opened in North Carolina in 2017. All four matches have been claimed by the Courage. The opening match of the 2017 season was a 1-0 victory courtesy of a McCall Zerboni goal and a strong defensive performance throughout the season. That match was followed by a 2-0 contest in North Carolina and a 3-2 barnburner back in Maryland. After the season ended, the Spirit and Courage penned the second-biggest trade during the offseason when forward Ashley Hatch and defender Taylor Smith were traded to Washington in return for the rights to United States Women's National Team forward Crystal Dunn. That trade was the only major change for the Courage during the offseason, but the Spirit were extremely active throughout. Washington added Andi Sullivan and Rebecca Quinn in the 2018 NWSL College Draft, Rose Lavelle in the Boston Breakers Dispersal Draft, and goalkeeper Aubrey Bledsoe in a trade with the Orlando Pride. Combined with the presence of USWNT rising-star Mallory Pugh, it's easy to see why people are so excited to see how the Spirit grow during 2018. The two teams also faced off in Richmond, VA for their last preseason games before the regular season, and the Courage came away better in a 3-0 game. The Courage benefitted from years of team chemistry in contrast with the hodgepodge of pieces that Washington was using. Both teams boast aggressive midfields and powerful offensive weapons, so the final result of the game will be determined by which team is better able to slow down the opponents' attacking force. For the Spirit, midfielder Mallory Pugh and forward Ashley Hatch will try to use their skillful ballhandling to break down the Courage defense, and both players have the speed to get in behind the Courage back line. Pugh and Hatch scored a goal each in the 2-0 win over Orlando two weekends ago, and Pugh scored twice for the United States in a pair of matches against Mexico during the FIFA break. The Courage have the height advantage over the Spirit, with forwards Lynn Williams and Jess McDonald presenting formidable challenges in the box. It was a 92nd minute goal against Sky Blue FC by McDonald that secured the second victory of the season for the Courage. Both players combine good ball skills with blazing speed that can wear out a defense throughout the match. The third Courage forward, Crystal Dunn, is more technically gifted while bringing the same physical attributes without the height of Williams and McDonald. Spirit goalkeeper Aubrey Bledsoe will need to be a commanding presence in the net to ensure that the game stays close into the closing minutes of the match. When all is said and done, the Courage likely have a slight advantage going into the match despite being on the road. Both teams will be missing midfield players to international duty, but the core players will still be available to play. The Courage are guaranteed to remain at the top of the table if they earn at least one point, while the Spirit will be looking to earn six points during their home stand before traveling to Portland the following weekend.